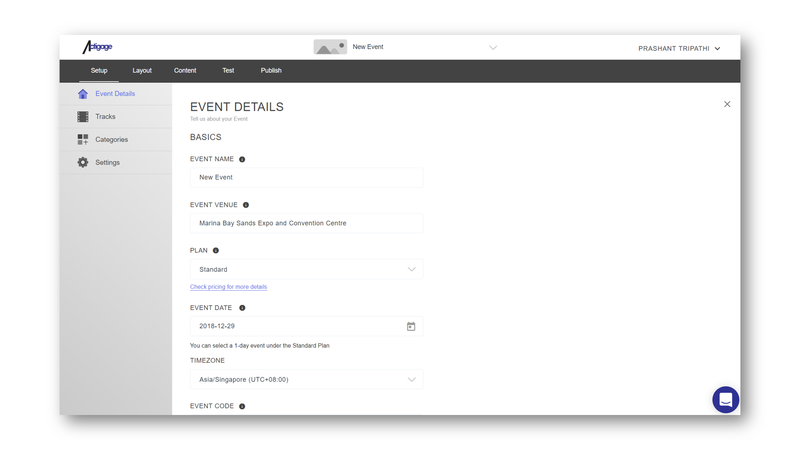 You can build the mobile app for your event in minutes using the Actigage Event App Builder, a simple and intuitive content management system. There isn't an easier way to build an awesome mobile app for your Events, Conferences and Exhibitions. The Setup tab allows you to add basic information such as your event name, duration of your event, configure the colour scheme of your app, and upload your event logo to match your company's or event's branding. 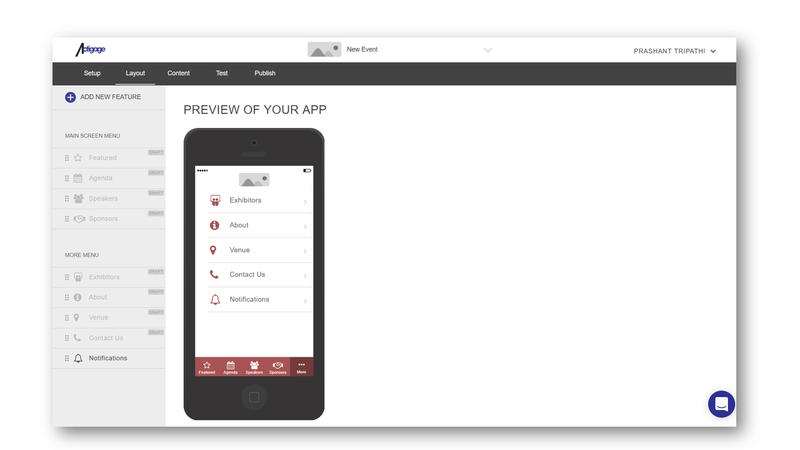 The Layout tab allows you to configure the features to be included in your app, select the feature, select the feature icons, and arrange the layout of the mobile app. You also decide when to publish the features. 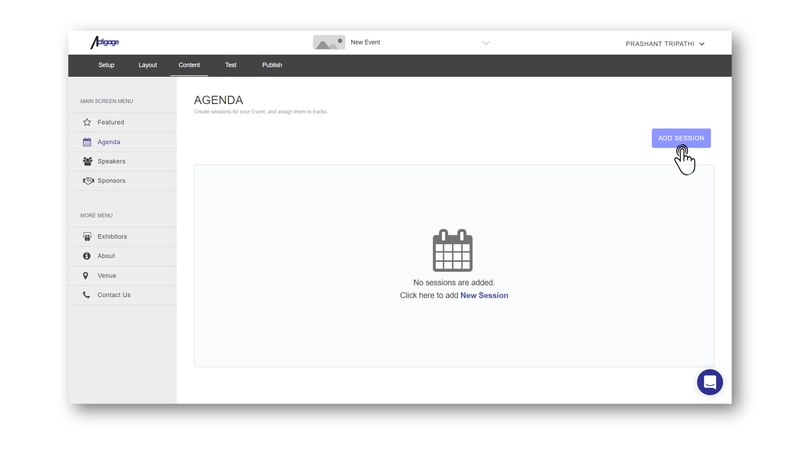 The Content tab allows you to add and edit content for each feature, such as the event agenda, speakers, sponsors and exhibitors. 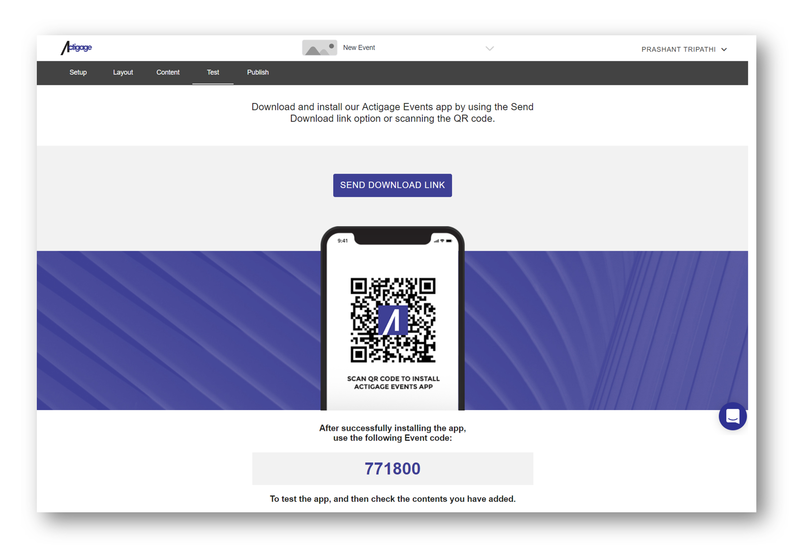 Once your content has been added, you may verify the content using the Actigage Events app. At the Test tab, you will find the link and QR code to download the Actigage Events app. When you are ready, make the payment and publish your event at the Publish tab. In the mean time, if you have any more content to add, or wish to edit your content, you may still continue to do so. 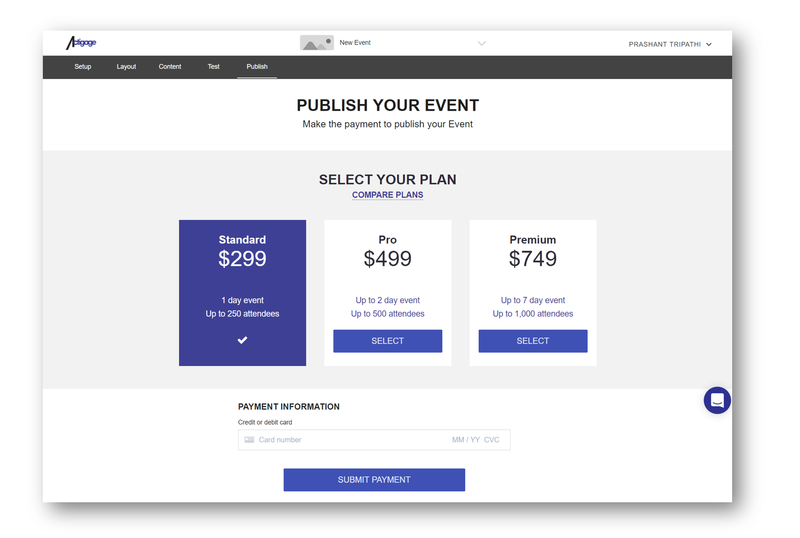 After payment has been processed, you can launch your event and inform your attendees.